U.S. Sen. Susan Collins will not support President Donald Trump’s judicial nominee to serve on the Sixth Circuit Court of Appeals, which covers parts of Kentucky, Ohio, Michigan and Tennessee. The Republican senator from Maine has voted to confirm every other judge nominated by Trump since he took office in 2017. 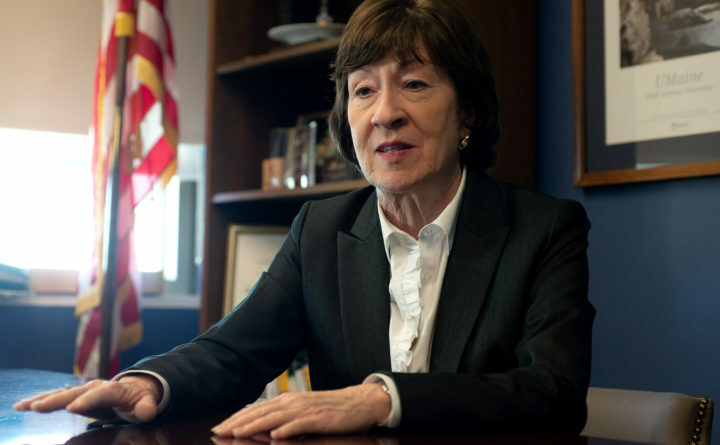 But on Tuesday, Collins announced she would vote against confirming Chad Readler because of his “decision not to defend the Affordable Care Act, including its provisions protecting individuals with pre-existing conditions” in his capacity as acting assistant attorney general of the U.S. Department of Justice’s Civil Division from January 2017 to September 2018. Given Readler’s part in the government’s “failure to defend provisions under current law that protect individuals with pre-existing conditions, I will oppose his nomination to the bench,” Collins said. She has broken with her party before to defend the Affordable Care Act, enacted under former President Barack Obama, a Democrat. In 2017, she helped block multiple Republican efforts to repeal the ACA. However, Collins has previously been a reliable vote for Trump’s judicial nominees, including U.S. Supreme Court justices Neil Gorsuch and Brett Kavanaugh. Her October vote for Kavanaugh has made her a top national target for Democrats as she approaches a fourth re-election campaign in 2020. In her more than two decades in the Senate, Collins has supported more than 90 percent of judges appointed by Republican and Democratic presidents, her spokeswoman said. As of early Tuesday evening, Collins was the only Republican to say she would vote against Readler. It would take three other Republicans to join her, and all Senate Democrats and independents to prevent his confirmation.